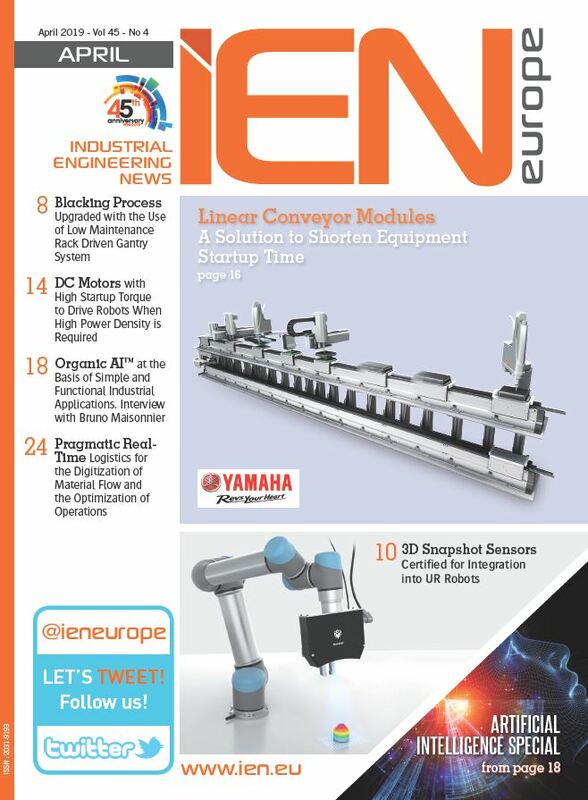 This year will be the 8th time that Hannover Messe is making Industry 4.0 its leading topic. Eberhard Klotz, Head of the Industry 4.0 campaign at Festo, explains which digital solutions are already within grasp and which ones are nearly within reach. "Industry 4.0 is definitely more than a marketing hype," says Mr Klotz. "It is backed up by specific projects and products." For example, Festo is a member of the Industry 4.0 platform and is advising the German government, developing further and continuing education concepts and qualification measures for new career paths, as well as carrying out visionary research in the Bionic Learning Network with autonomous and self-controlling systems such as BionicANTs or the prototype of an interactive, collaborative, pneumatic 7-axis robot like the BionicCobot. Festo is already delivering some real automation technology products for the fourth industrial revolution: integrated drive packages, modular valve terminals with OPC-UA and IOT gateways, decentralized CODESYS controls and autonomous mechatronic subsystems in IP20 or IP65. In addition, there are apps and Cloud concepts. 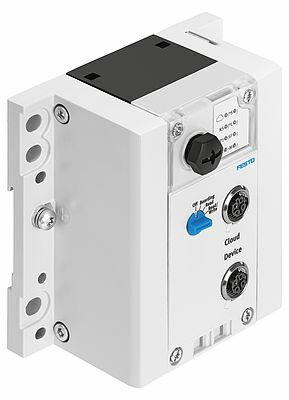 The Festo Motion Terminal is the first automation platform to be built as a cyber-physical system replacing up to 50 individual pneumatic functions. Festo's new factory building in Ostfildern-Scharnhausen has been designed to meet the most exacting energy standards: for example, it has been fitted with solar energy systems and employs heat recovery concepts. The objective was to make it possible to compare and network the energy data with the consumption data from all machines. Festo has equipped the new Scharnhausen Technology Plant with machines and systems that offer much greater flexibility and are oriented towards the concept of the SmartFactoryKL. Result: Changes of batch within only 13 seconds, thus much faster than on the previously used machines and systems which required anything from half and hour to several hours to achieve the same thing. This also applies to exchanging individual stations and modular cells, something which can now be undertaken in one afternoon rather than in several weeks or months, or even relocating a system to another location. 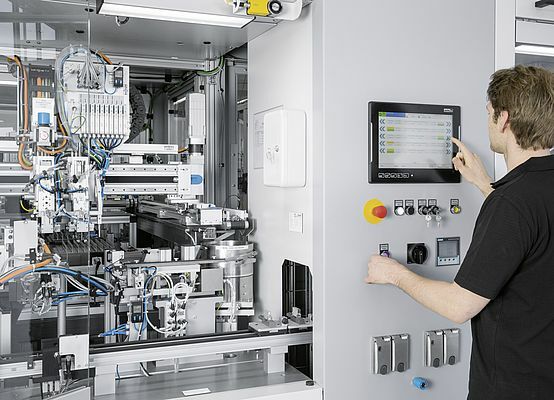 Festo has equipped many machines with OPC-UA as the basis for an optimised Kanban and one-piece-flow concept. If a particular resource within a multi-stage production sequence fails and this results in a reduction in the production capacity, all the upstream process steps are automatically throttled back so as to optimize them to this bottleneck. Customer applications in Germany and abroad reveal the innovative potential of Industry 4.0 worldwide. For example, Festo's customers are consistently building modular machine concepts according to the Industry 4.0 approach for the automotive industry and are saving weeks between the offer and delivery or are using IP65 controllers from Festo for automation without control cabinets in order to offer lower prices. Other users are overcoming the obstacles posed by FDA approvals with the revolutionary Festo Motion Terminal, thereby avoiding the need for batch changes and format changes on manual flow control valves. Others are considering delegating parts of their preventative maintenance and spare parts business to Festo via Cloud-based concepts to allow them to concentrate on their core business in line with lean management principles – at the same time as developing a new pricing model for this.